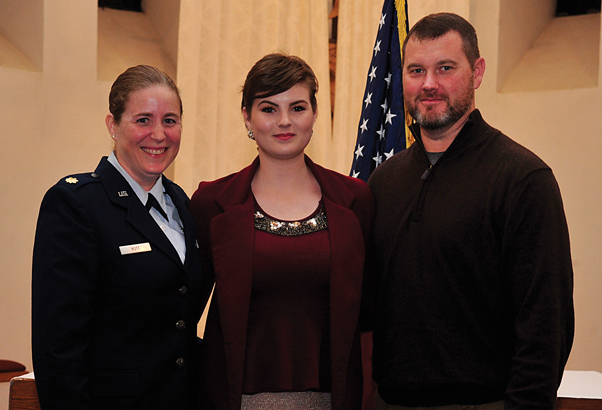 From left, U.S. Air Force Maj. Brittany Nutt, a women’s health nurse practitioner with the 86th Medical Squadron, Kiersten Nutt and Steve Nutt, pose for a photo at Landstuhl Regional Medical Center, Germany, after Kiersten enlisted in the Air Force, Nov. 23, 2015. 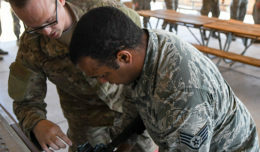 RAMSTEIN AIR BASE, Germany — For one family, the Air Force was not only the answer to their immediate financial needs, but also the start of a multi-generational journey. Steve Nutt and his wife, Brittany Nutt, decided they were ready for a change. For the Nutt family, working hard with little payoff was not the way to live. With advice from her uncle, who was an Air Force senior master sergeant at the time, the then 23-year-old Brittany knew the Air Force was the new obstacle for which she had been searching. 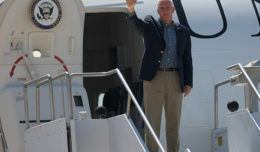 The couple both enlisted in the Air Force, with Steve graduating from basic military training the week Brittany began hers in San Antonio, Texas . Steve went on to become a services specialist, while Brittany became a flight medicine technician. Two years into her first four-year enlistment, Brittany discovered she could earn a commission to become a nurse practitioner. With a chance to further her career, many things had to be taken into consideration to ensure their home life was stable. Brittany said they mutually decided the best decision for their family was for Steve to leave the Air Force, while she went into the Airman Education and Commissioning Program for nursing. Despite moving several times due to his wife’s career, Steve said he benefited from his experience as a services specialist by finding a variety of civilian jobs in fields as diverse as mortuary affairs and accounting. He is now retired after working as a deputy sheriff for the Solano County Sheriff’s Office in Fairfield, California. 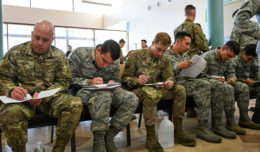 The Nutts agreed the Air Force enabled them to progress in their careers — in and out of the military. Today, Brittany is a major with 19 years of service, two bachelor’s degrees, a master’s degree and a doctorate. She’s assigned 86th Medical Squadron as a women’s health nurse practitioner. The Nutts’ decisions shaped their family in unexpected ways, they said, as Kiersten, their eldest child, has now joined the Air Force. And Brittany administered the oath of enlistment to Kiersten before she left for training. Kiersten said one benefit to growing up in a military family was learning adaptability to new environments due to moving every two to three years. She attended nine different schools in 12 years and says she learned to develop friendships wherever she went. Airmen are not always guaranteed their first career choice upon enlistment. Kiersten said she wanted to work toward a broadcast career with American Forces Network, but instead will be working with radio frequency transmission systems. This hasn’t dampened her enthusiasm for the Air Force, however. “I’m the type of person who sees the glass as 100 percent full,” she said.